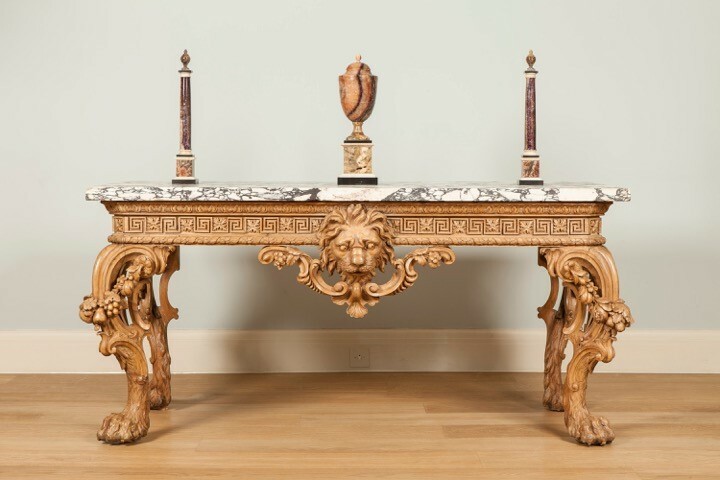 The 6th edition of Masterpiece, the international cross collecting fair for art, antiques and design, takes place at the Royal Hospital, Chelsea, London from June 25 to July 1 with a preview on June 24. 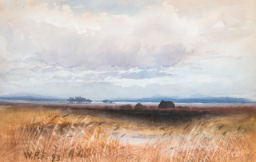 The fair offers museum quality works with superb provenance from 150 galleries worldwide. 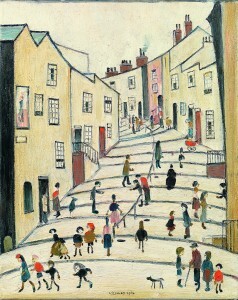 Laurence Stephen Lowry, Crowther Street Stockport, 1964, Oil on Canvas. Courtesy of Richard Green. 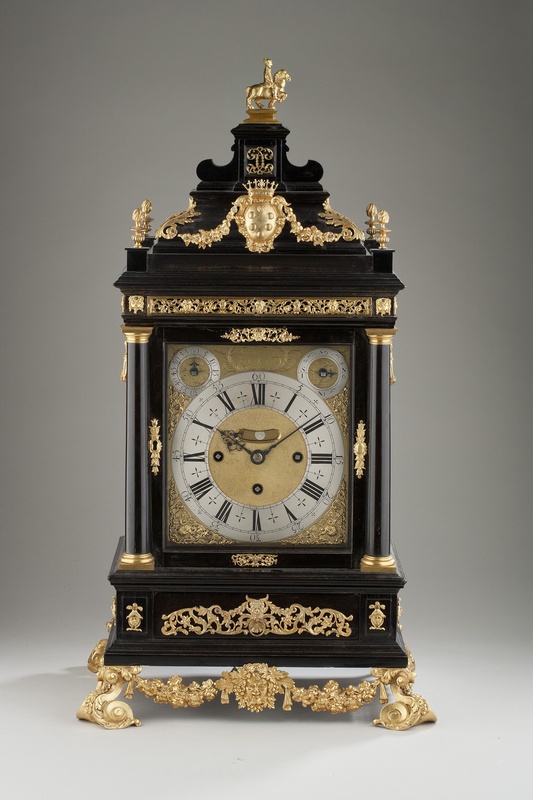 The Medici Tompion, circa 1969, ebony and gilt brass mounted Grande Sonnerie table clock, presented by William III as a gift to Cosimo de Medici, £4,500,000 courtesy of Carter Marsh & Co.
A Rare Anglo-Indian Polychrome, Decorated Drum Table Top, c. 1880, Courtesy of Apter-Fredericks. 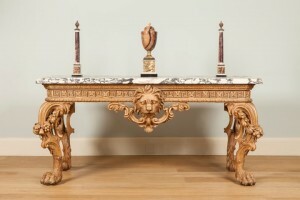 A George II Carved Side table Attributed to William Linnell The Design Possibly by John Linnell, Courtesy of Apter-Fredericks. 19th Century Secretaire a Abattant by Maison Rogie of Paris, after the original in the Wallace Collection, made in 1777 by Pierre-Antoine Foullet at Butchoff Antiques. 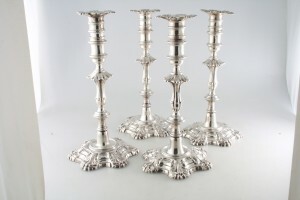 A set of four antique Irish candlesticks by James Warren, Dublin c1750 (17,500). 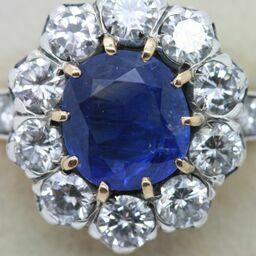 A c1890 Burmese sapphire and diamond cluster ring at Weldons (18,500). 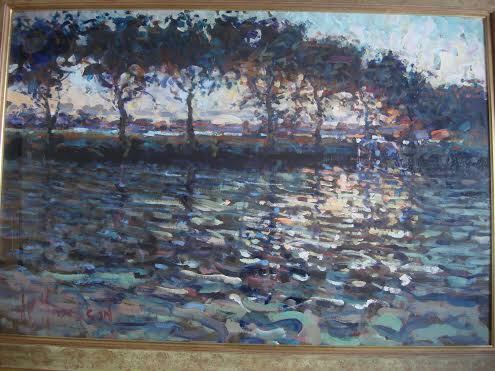 Arthur Maderson – Late Evening, River Blackwater at Treasures Irish Art of Athlone. 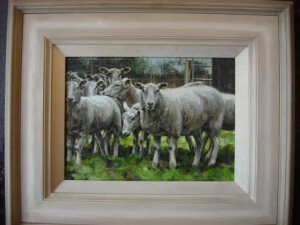 Mark O’Neill, The Enclosure at Treasures Irish Art of Athlone. 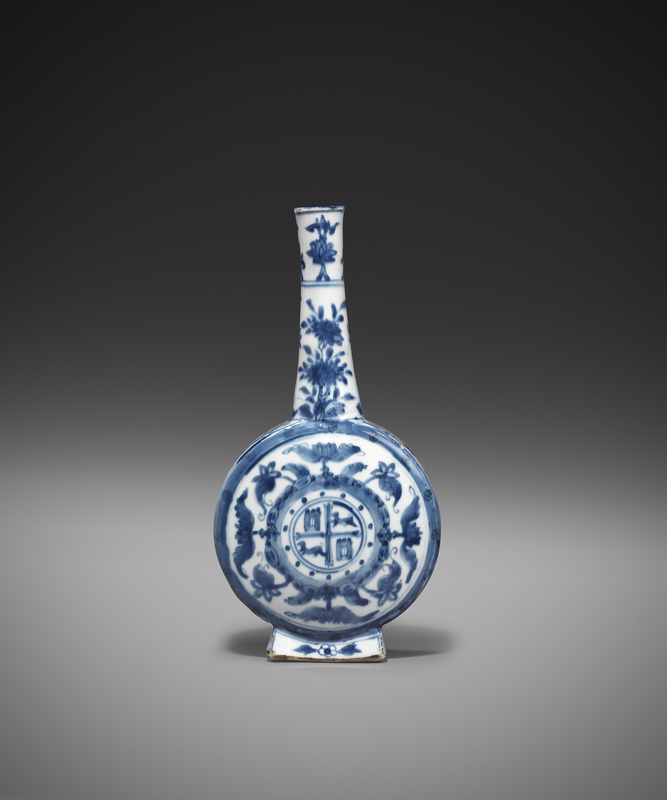 The auction achieved a new record of 5,497,918. A Farmstead, Co. Armagh by John Luke made 40,000 over a top estimate of 30,000. Sir John Lavery’s A Street in Rabat sold for 38,000 over a top estimate of 15,000 and a Cubist landscape by Mary Swanzy sold for 20,000 over a top estimate of 12,000. George Russell’s Apparrell’d in Celestial Light, the catalogue cover lot, sold for 21,000 at hammer over a top estimate of 10,000. A sculpture by Rowan Gillespie – O’Carolan, Spirit of the Blind Harpist – made 17,000 over a top estimate of 7,000. 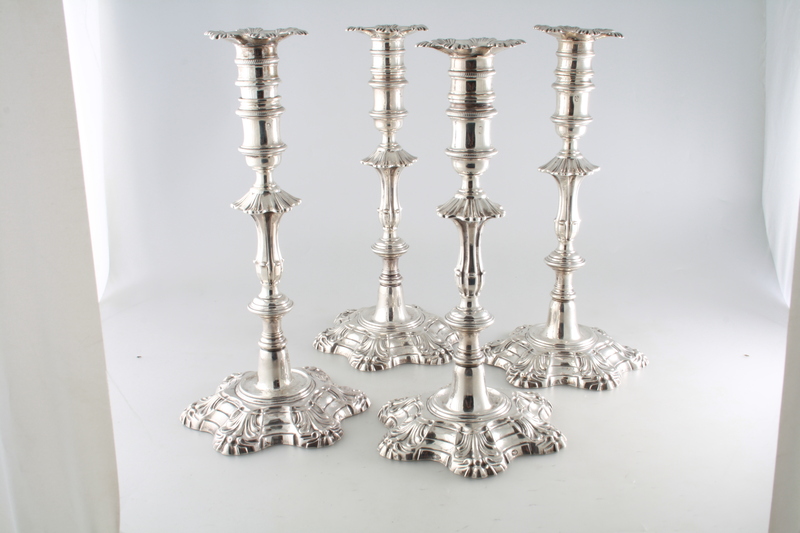 (See post on antiquesandartireland.com for May 19, 2015). 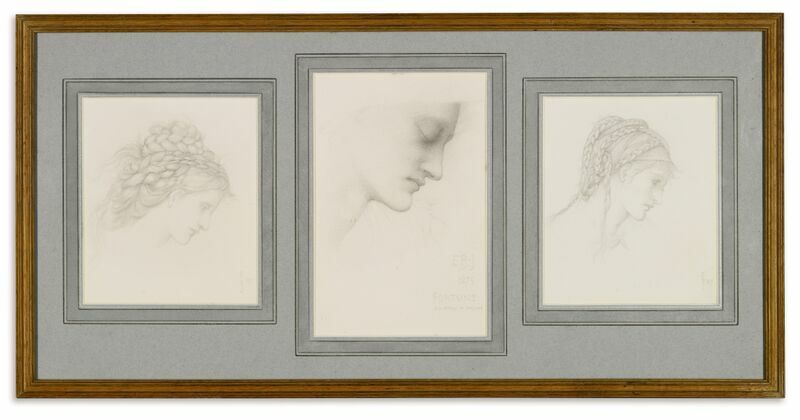 Sir Edward Coley Burne-Jones – Three Studies for The Wheel of Fortune sold for £68,570. 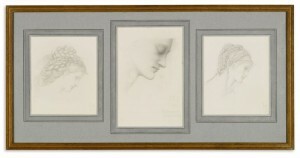 Drawings by Sir Edward Coley Burne-Jones – newly discovered at West Horsley Place the Surrey estate of Mary, Duchess of Roxburghe – doubled the pre-sale estimate to sell for £68,750 at Sotheby’s on May 27. 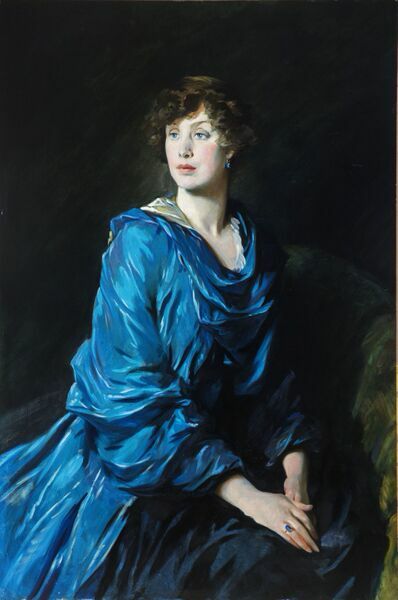 Session one of the estate of the Duchess realised £2,480,554 – over the high estimate for both sale sessions. The sale continues today. The studies were for Burne-Jones most famous and powerful painting, The Wheel of Fortune. 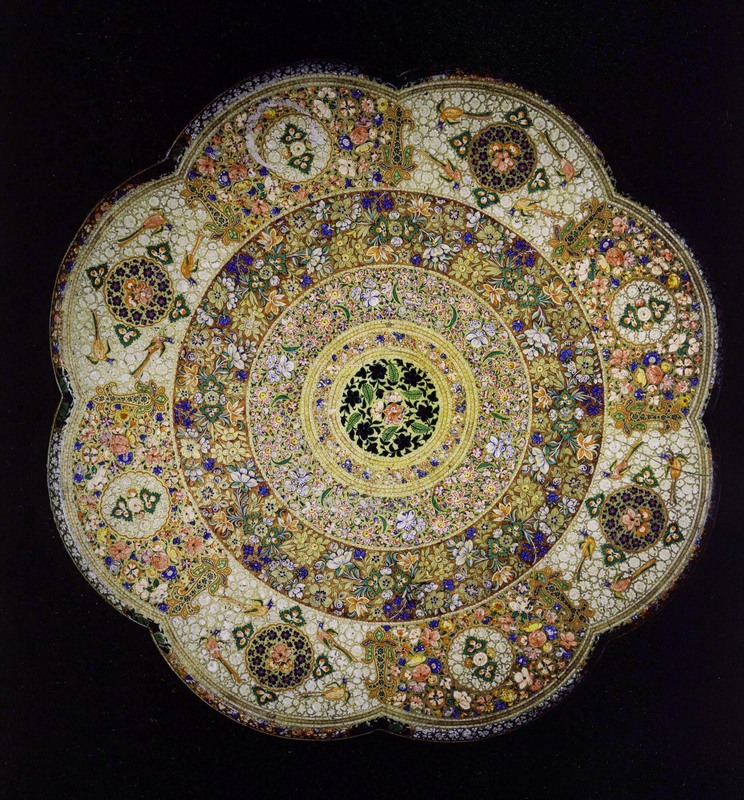 This was painted for the Conservative politician and future Prime Minister Arthur Balfour and modelled by actress Lillie Langtry (1853-1929), regarded by many as the most beautiful woman in London. A portrait of Mary’s mother, Peggy Primrose, by Glyn Philpot made £56,250. 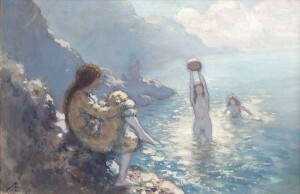 Irish artists in the sale included Percy French, Walter Osborne, Rose Barton and Mildred Anne Butler. 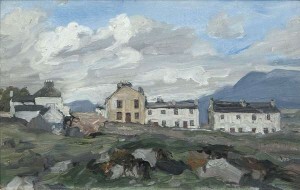 Osborne’s Fish Market, Galway sold for £25,000. UPDATE: The two day realised £3,701,654. 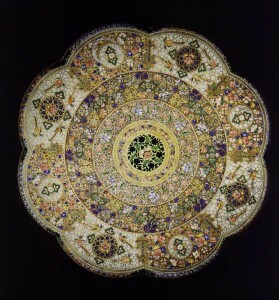 It had been estimated at £1.6–2.3 million. The top lot of on the second day was the Duchess’ Cartier diamond engagement ring, which sold for £167,000, 14 times its high estimate (estimate £8,000-12,000). A collection of Mary’s jewellery was sold earlier this month at Sotheby’s in Geneva making an overall total of £8,861939. 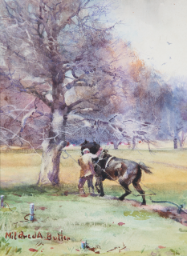 Mildred Anne Butler – The Ploughman – sold for £2,750. 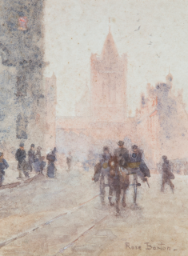 William Percy French – On the French Park Estate – sold for £4,750. A portrait of Mary’s mother, Peggy Primrose, by Glyn Philpot sold for £56,250. 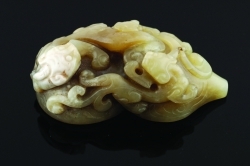 A Chinese jade seal sold for a hammer price of 260,000 at Sheppards in Dublin on May 26. It had been estimated at just 4,000-6,000. The celadon jade San Xi Tang double gourd seal was bought by a dealer in London. The underbidder was on the internet from Beijing. The auction of 106 lots at Sheppards Dublin base on Pembroke Road was 91 per cent sold. A Chinese school, ‘Manchurian tiger hunt’ made 28,000; a 17-18th century Gilt bronze figure of Amitayus made 15,000; a late 19th century famille rose vase sold for 13,000 and a Chinese polychrome enamelled wall-vase with Qianlong mark made 11,000. Marie Antoinette’s exquisite armchair from the Pavillon Belvedere is among the highlights at Christie’s sale of important French furniture in London on July 9. 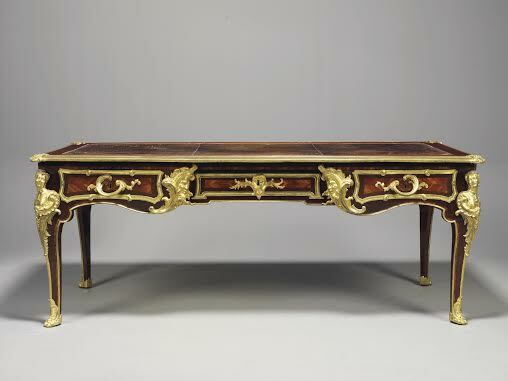 The Taste of the Royal Court sale of furniture from a private collection comprises 22 examples of 18th century decorative arts. 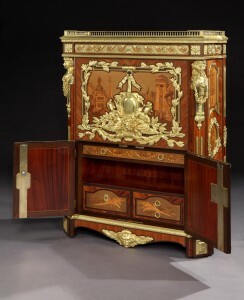 The furniture in the sale was created for some of the most celebrated patrons of the 18th century: Queen Marie Antoinette, Duke Albert de Saxe-Teschen, Jean Baptiste de Machault d’Arnouville, Chancelier de France and the Prince de Conti, and subsequently entered such legendary collections as those of the Dukes of Hamilton, the Marquesses of Bath at Longleat and the Comtes de Vogüé at Vaux-le-Vicomte. The sale features work by master craftsmen like André-Charles Boulle, Charles Cressent and Adam Weisweiler. 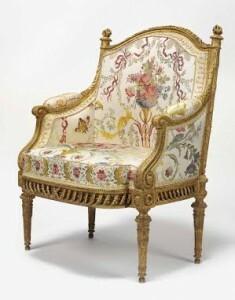 A giltwood fauteuil en bergère supplied to Queen Marie Antoinette for her salon in the Pavillon Belvédère at the Petit Trianon, was part of the most expensive suite of seat furniture ever made for the Queen. The only armchair from the set known to have survived is estimated at £300,000-500,000. 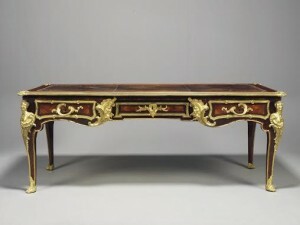 A bureau plat by Cressent, of which the only other known example is in the Louvre, is estimated at £1-1.5 million. 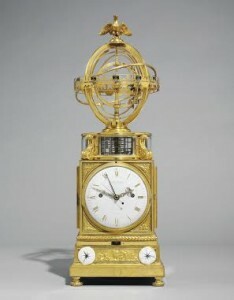 Estimates range from £30,000 to £1.5 million and the collection is expected to make more than £6 million. 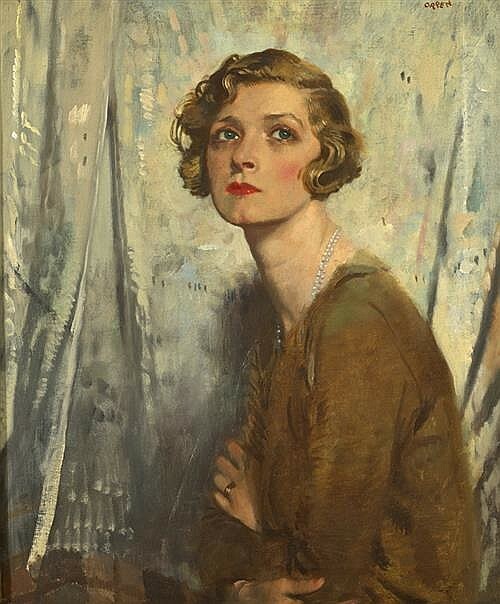 Sir William Orpen’s penetrating portrait of the English Academy Award nominated actress Gladys Cooper sold for a hammer price of 175,000 at Whyte’s in Dublin this evening. Painted in 1924 had been estimated at 80,000-120,000. 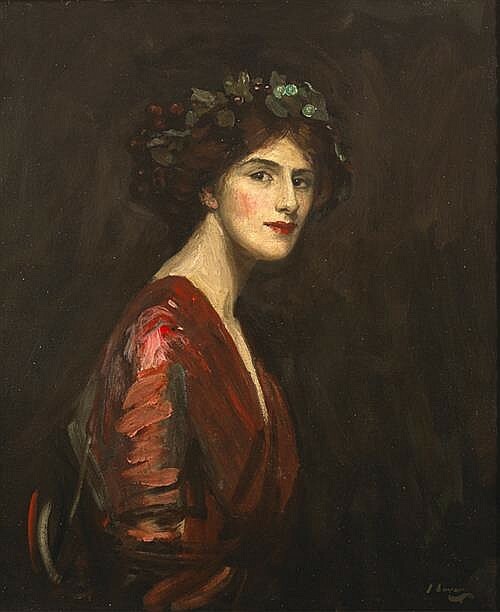 Sir John Lavery RA RSA RHA (1856-1941) A BACCHANTE, 1910 sold for 135,000 at hammer. This continues the trend established at the previous Whyte’s auction where many lots sold above the high estimate and where internet bidders competed from around the world for the best of Irish art. 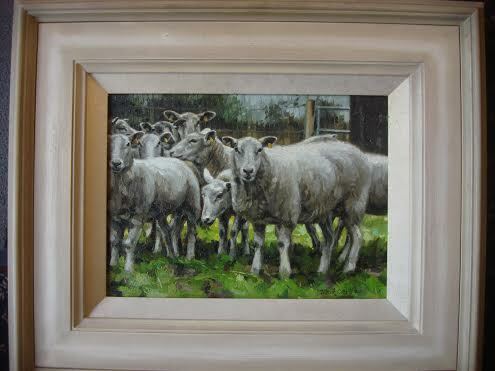 After a prolonged period in the doldrums the market for the best of Irish art is once again on the rise. At the same sale Sir John Lavery’s A Bacchante sold for an above estimate hammer price of 135,000 at hammer. Painted in 1910 it had been estimated at 60,000-80,000. It had been exhibited at the Royal Society of Portrait Painters in London in that year as Mrs. Ralph Peto. Whyte’s md Ian Whyte said the sale: “Produced the best results for us since 2008”. The auction grossed just over one million euro and was 85% sold. 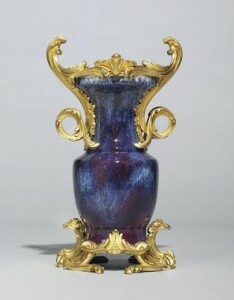 There was significant interest from outside Ireland and but Irish collectors and dealers were active too. About 70% went to Irish clients. IS THIS THE MOST EXPENSIVE HANDBAG EVER TO BE AUCTIONED? 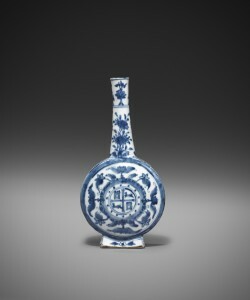 Possibly the most expensive handbag ever to be auctioned comes up at Christie’s in Hong Kong on June 1. An Exceptional Shiny Fuchsia Porosus Crocodile Diamond Birkin 35 with 18K White Gold & Diamond Hardware, Hermès, 2014 made US$222,912, a world record for a handbag. An exceptional shiny black porosus crocodile Diamond Birkin 40 by Hermes 2007, with 18 carat gold and diamond hardware, is estimated at US$129,000-194,000. A shiny fuchsia Birkin 35 from 2014 has an identical stellar estimate. These are among the most valuable handbags in existence. Rare collector’s items are the highlights at this season’s Handbags and Accessories auction in Hong Kong. There are exceptional pieces sought after by top handbag connoisseurs and limited edition collector’s items, a selection of one of a kind custom pieces and more than 50 minis and clutches. UPDATE: The sale of more than 300 of the worlds most coveted handbags and accessories brought in US$5,985,495. 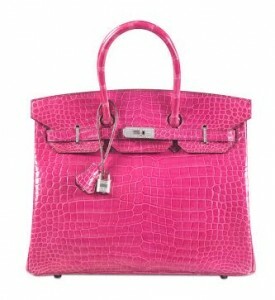 Posted in AUCTIONS, COLLECTIBLES | Comments Off on IS THIS THE MOST EXPENSIVE HANDBAG EVER TO BE AUCTIONED? A lock of Wolfgang Amadeus Mozart’s hair contained in a 19th century gilt locket comes up at Sotheby’s in London on May 28. The strands were given by Mozart’s widow, Constanze, to the mother of the German-born conductor Karl Anschütz (1813-1870). It then passed into the collection of one of the most successful English song-composers of all time, Arthur Sommervell (1863-1937) whose direct descendent owns the item today. 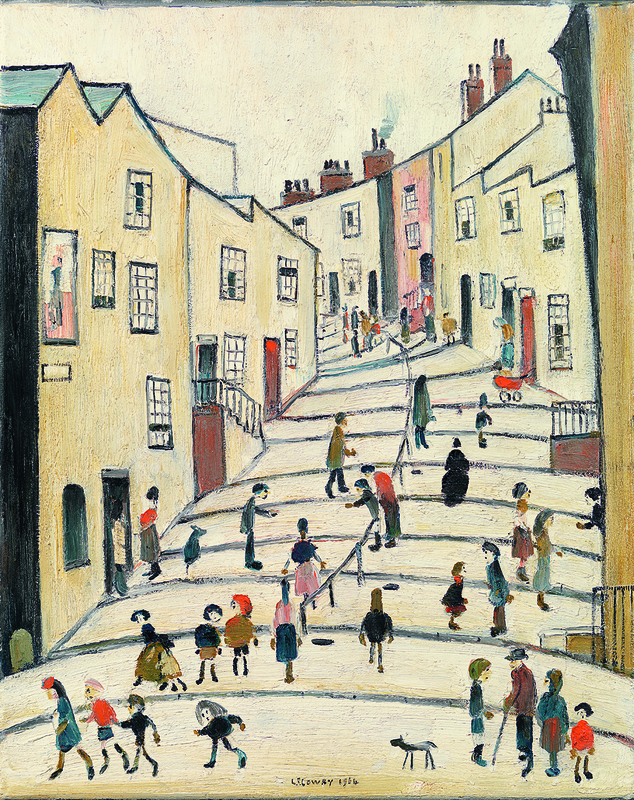 It is estimated at £10,000-12,000. Locks of hair were frequently taken as keepsakes. The auction will also feature a printed invitation to Beethoven’s funeral, together with a small lock of his white hair (est. 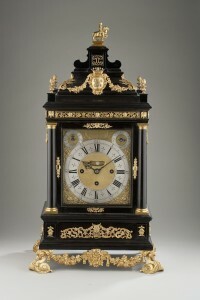 £2,000 – 3,000). Testament to this tradition, Gerhard von Breuning, the son of Beethoven’s lifelong friend, recalled that when he visited the composer to pay his last respects “strangers had already cut all the strands of his hair”. Opportunities to get close to figures from history have always been met with fascination. In 2002, Sotheby’s sold a different lock of Mozart’s hair, passed down from the mistress of one of Mozart’s sons, for £38,240 – double its pre-sale high estimate. 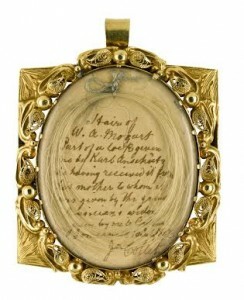 The British Museum holds a heart shaped pendant with a snippet of Marie Antoinette’s hair within its collection.